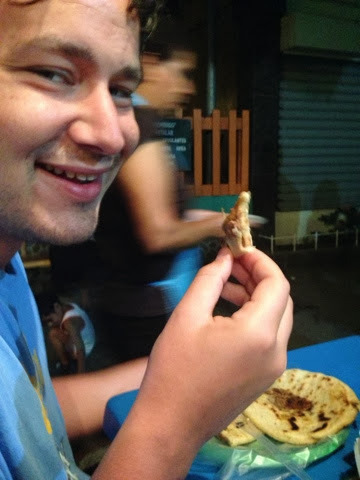 The Shapiros Take an Adventure: Some food adventures! Well, it was another exciting day for the Shapiro Adventures. Besides taking a yoga class at La Guitarra Hotel/Bar, we did more of the same hammocking, tanning, swimming, reading, and resting. 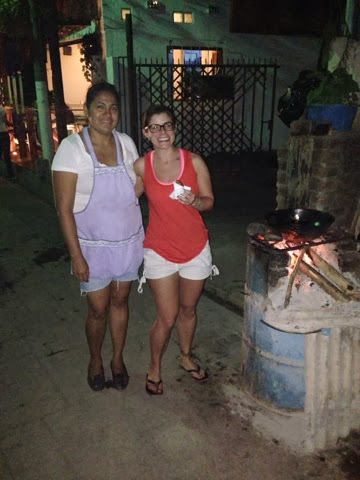 She cooks the corn over that fire all day long, then fries the dough made from corn filled beans and vegetables in oil by night. Yum! Let's be honest, you can't go wrong with food cooked over an flaming trash can, amiright?